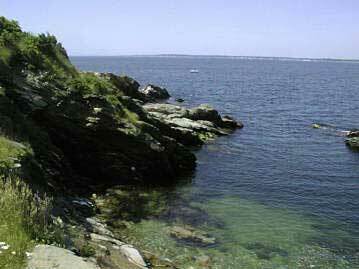 Before we go on our field trip, we'd like you to learn more about Beavertail's Rocky Shore. Beavertail's physical characteristics are unique because of its diverse biology, geographic location, and geologic origins. This area's history is dominated by the lighthouse which rests on its rocky tip. Beavertail's current land use includes a 153 acre state park where fishing, sunbathing, and rollerblading are the norm.